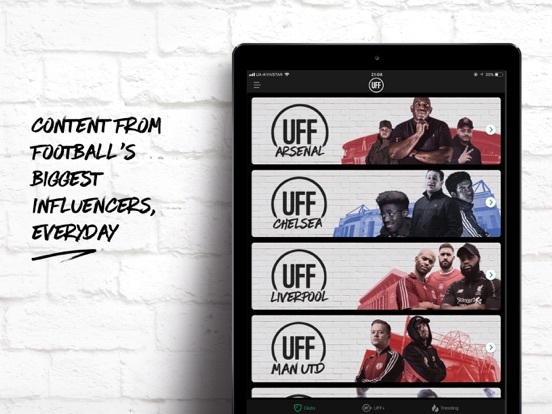 UFF is the best fan experience in football - in your pocket - 24/7! 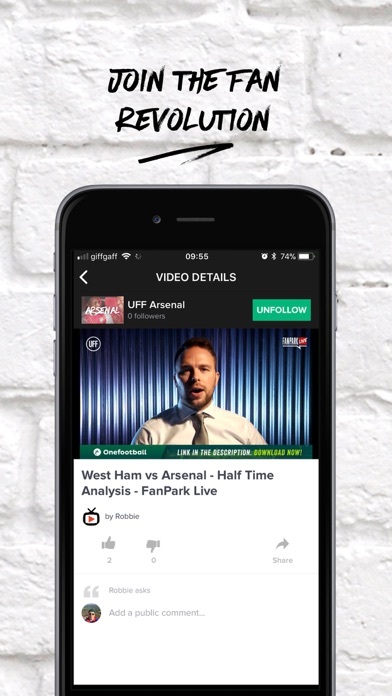 Ultimate Football Fan is the global voice for the fans of football. 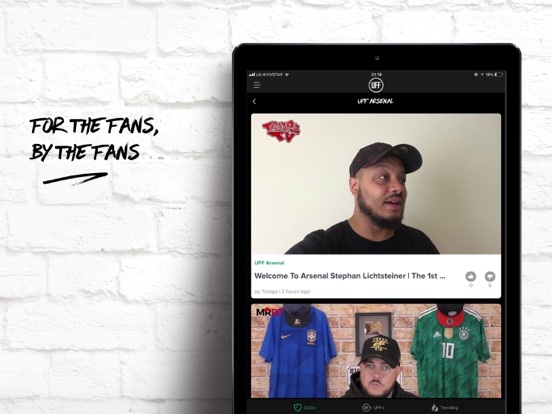 We are bringing you the biggest voices in the football conversation, including: Arsenal Fan TV, United Stand, 100% Chelsea, XY Spurs, Football Terrace, Football Banter Show, Have Hope and a host of rising stars! 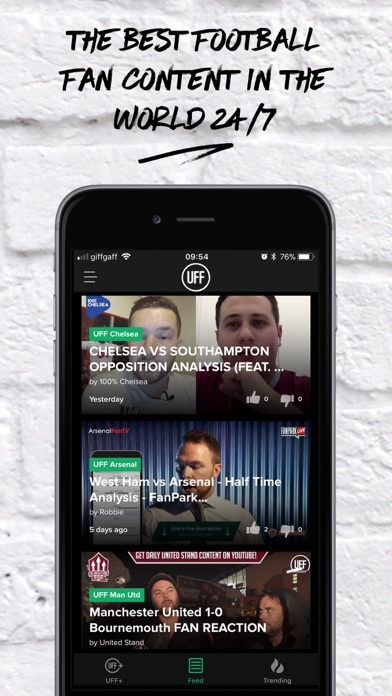 - UFF NEWS feed has two daily shows, with UFF Daily in the morning, and FanPark NEWS in the evening – so you never miss a ball! 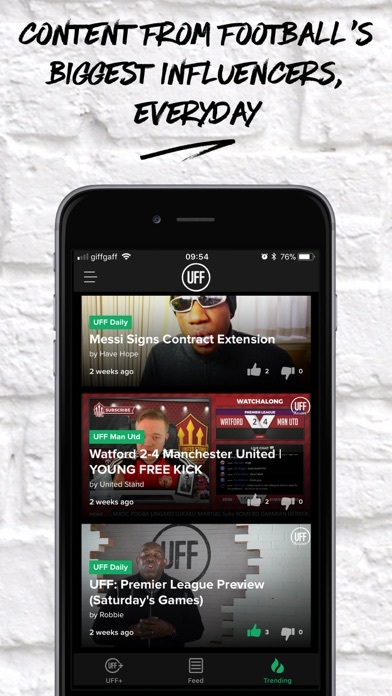 - UFF LIVE will carry all our live shows after the major EPL games, and you can join in and have your say. 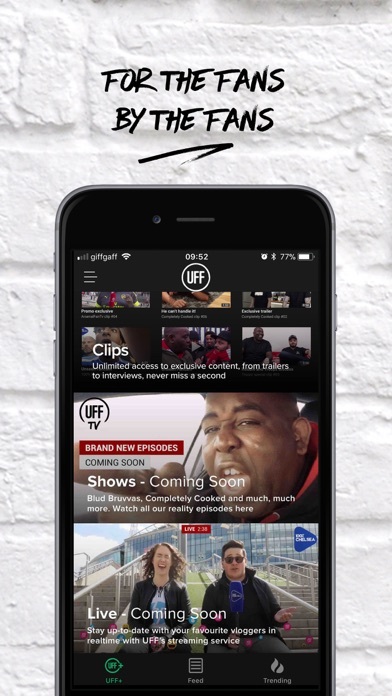 - UFF Xclusive is our documentaries, reality series and videos we’ve made exclusively for you, it’s all bespoke and only through UFF. 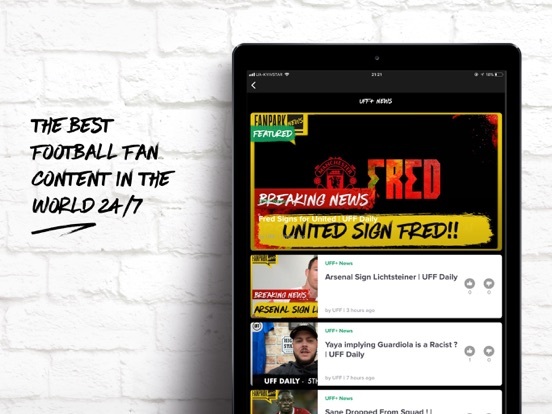 CLUBS: This channel has all the daily news, reviews and clips from your chosen clubs - including General Football, Arsenal, Manchester United, Liverpool, Chelsea and Spurs (and more added every month) – and you can swap between them at a flick of the switch. 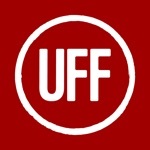 TRENDING: The latest and hottest content as voted by the fans from across all the UFF channels. We’re giving YOU a voice. 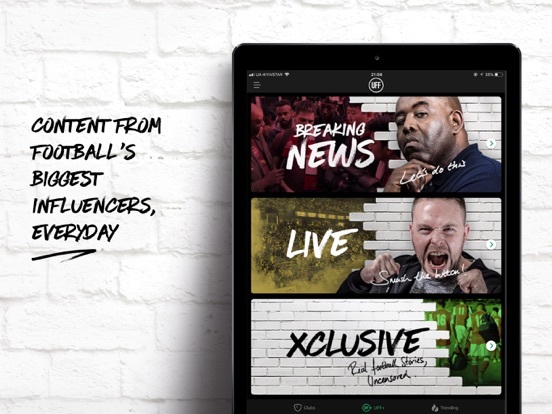 We’re giving YOU a platform. 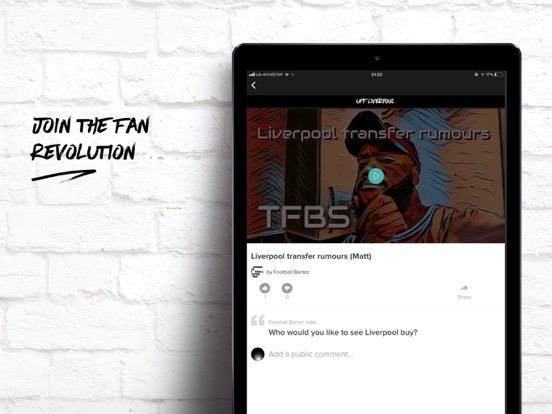 We’re tackling fan issues head-on and bringing you the unfiltered fan experience.